The Flowing Pandaren Spirit runs with Marley (aquatic), Tiptoe (aquatic) and the Pandaren Water Spirit (elemental). To combat this team I went with the Amber Moth, Onyxian Whelpling and the Masked Tanuki Pup. The Flowing Pandaren Spirit has the chance to give you the Pandaren Water Spirit battle pet. The Burning Pandaren Spirit runs with Crimson(dragonkin), Glowy (flying) and the Pandaren Fire Spirit (elemental). I managed to take out this team using only Bonkers and the Masked Tanuki Pup. The Burning Pandaren Spirit has the chance to give you the Pandaren Fire Spirit battle pet. The Whispering Pandaren Spirit runs with Dusty (flying), Whispertail (dragonkin) and the Pandaren Air Spirit (elemental). To defeat this team I used my bog standard team I always use, my Cinder Kitten, Clockwork Gnome and the Onyxia Whelpling. The Whispering Pandaren Spirit has the chance to give you the Pandaren Air Spirit battle pet. So I’ve been running all three of those dailies and I’ve finally managed to snag all the Pandaren Spirit pets, woo hoo! 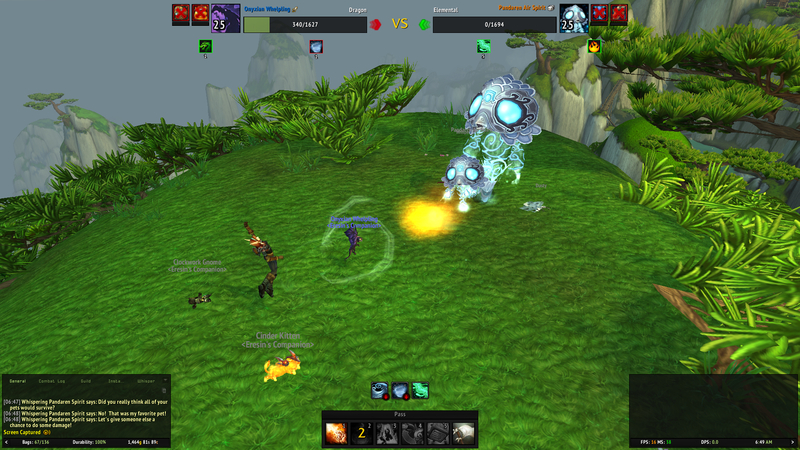 If you are interested in getting into Pet Battles but don’t have a clue where to start then I can highly recommend WarcraftPets.com. They have some excellent guides and you can even import your characters and see really easily what pets you’re missing and where to get them. The other time I made it out of my Garrison was to camp Poundfist. I really regret not doing this nearer the start of the expansion because groups are few and far between now, and while Poundfist isn’t hard to kill, it’s just plain boring waiting around on your own. 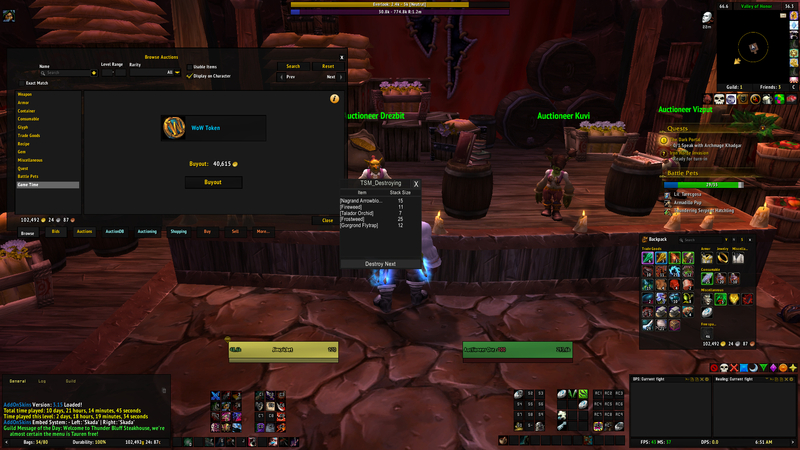 In other news the WoW Token was released in the EU. You can purchase this token for £15 which you then sell in game. The starting price was 30,000g. I checked on the evening it was released and it was up at 38,000g. The following morning it was over 40,000g. I’m pretty sure the prices in the US were never as high as that. It was rather interesting, but sadly I didn’t have £15 to spare to drop on the token. Guess I’ll just never get that Spectral Tiger. I saw some datamined info on Pepe. This dude is getting some costumes and I’m going to be ALL OVER THAT. Sadly I didn’t have much else going on in WoW, I never even made my circuit of mount runs through the old raids. This was due to a mixture of migraines, baby things and some crappy news at work which resulted in me not being in the mood to do anything fun. However, onwards and upwards. 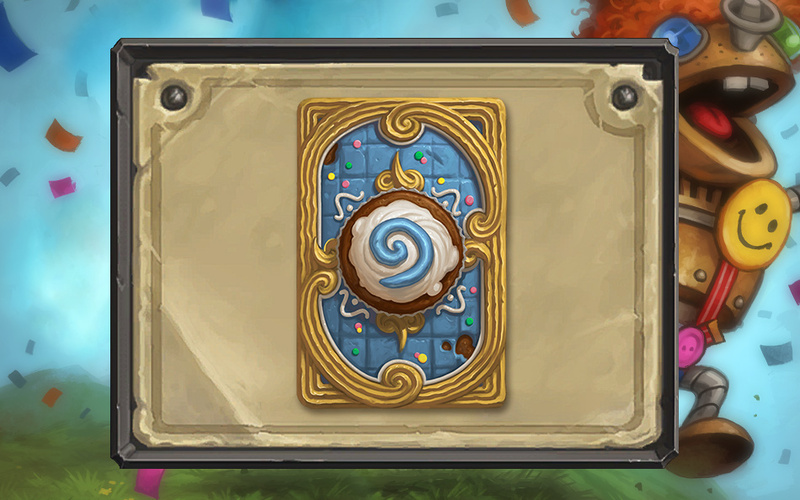 I am rather pleased that my other (better) half helped me to get to rank 20 in Hearthstone so now I am the proud owner of the cupcake cardback. Yes I know it’s pretty pathetic I need help getting to rank 20, you don’t need to remind me, but look it’s so pretty! !